Hello and welcome to the first ever Sweetpeas Music Files! I am SO beyond excited about this series because it just feel so me and I just couldn't be more excited about it. However before we get super into it lets chat about what this even is. Last weekend I announced a new series called Sweetpeas Music Files in my Sweetpeas Picks, here, post and also started a hashtag to go along and today is the official kick off and set up for the series. I have created this series as a way to share more music related things with you plus do more with music related thing. Which can mean anything really, but mainly music nail art. 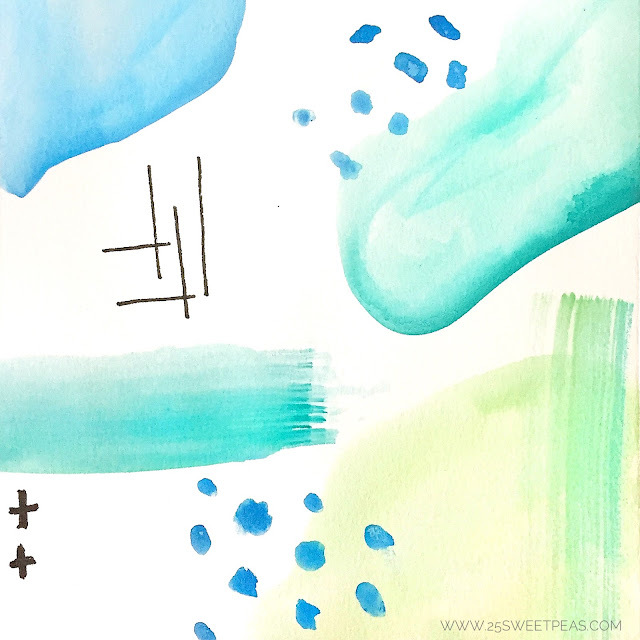 Over the summer I did some music inspired by nail art and loved doing it so much, then I did it again earlier this month and had a blast again. So I was like, well how can I make this more consistent and get others involved. The answer was Music Files and #Nails4Music. Sweetpeas Music Files will be a monthly blog post discussing music and sharing music, with the occasional music review as well. 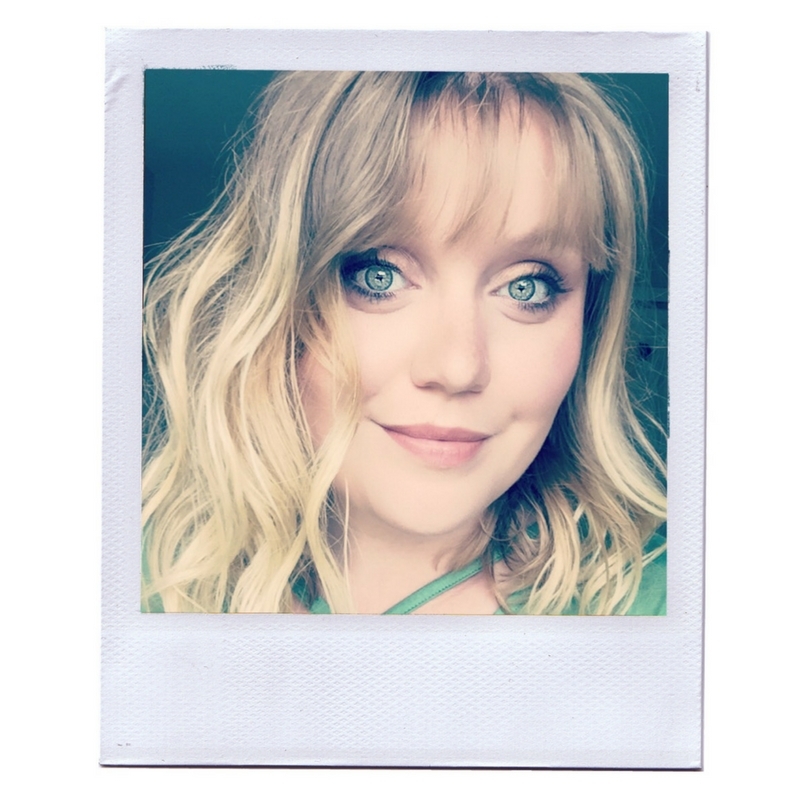 I will link playlists for you to check out, share new music, music connections, and so much more. #Nails4Music is a hashtag for all music related nail art! 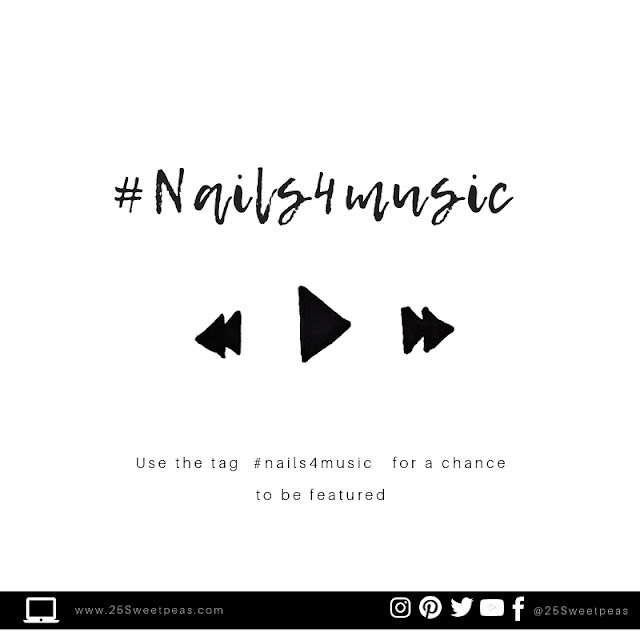 You can use this on Instagram and share your manis inspired by the music you are liking at the moment. These manis will also have of being featured in this monthly blog post, as well as on my Instastory! Both of these have the potential and goal of connection people by similar music interests as well as helping people finding new music to listen to as well. I personally love music and have always wanted a way to integrate it more into my blog and I think this is the perfect way. Plus for as long as I can remember I always knew I wanted to have a website from a young age. I loved writing and reviewing things. One thing I always thought I would do was review music, that was just something I had wanted to do but that never really translated to the blog but now I have found a way and couldn't be happier about it! So as I was making the playlist for this months post I realized something. I have 2 different types of music I classify my types into, and I'm not talking about genres per say. I have music that I love and know I will always enjoy which is what I am calling my comfy music, while people in the household would say that music is by "my people". Which I have to say I like. Then I have the mainstream music that I like thats not something I will always listen to but still do enjoy. Anyone else kind of have that same thing? I defiantly have stand by artist that I can count on and then others that I like on the whim. Granted this year that list kind go did a complete 360. People I used to like put out things I didn't care for while others I've not liked all that much have turned into my favorites. Its been an interesting music year and actually one of the best ones in my opinion in a long time! So all of that being said I have created a list of a mix of the two! The monthly list for this Volume is quite interesting. Its mainly new finds because this month actually consisted of lots of new things, and honestly I love that. I love to turn on an artist I like and the let Spotify suggest like artists to help me find new people. Its bad for my iTunes balance because I will then go buy a lot of music but music is a must so its all goof! Another way I find new artists is by following artist I already like on social media, they usually share pretty good suggestions. Actually a handful of the artist I listen to are all connected some how and I can usually find connection between them all which is really neat, more on that another day! Some songs you might recognize as older songs but there were just some older ones that came on again this month that a. I really forgot how much I loved them or b. I didn't know when they came out and just found them. The list is in no particular order I kind of added them and then made it so it would be ok to listen to straight through or on shuffle. One new artist that I found this month that I was really excited about was Jagwar Twin! 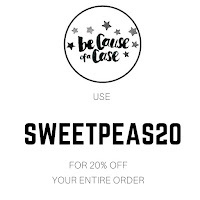 I think I actually mentioned this in a Sweetpeas Picks as well! I saw someone tweet about one of his songs called Move To You, and the person who posted about it has had great recommendations in the past and good music taste based on playlists that person has shared so I gave it a go and I am so happy I did. I really like his song called Move To You and Loser, but actually his full CD Subject To Flooding, is good! Since I liked it so quickly I thought, well there has to be some connection going on here. So I did some research and found out he has toured with bands I like, and was known under a different name in the past and sang the song Cool by Alesso, which is the only Alesso song I have actually put on my phone! It all then made sense! I have liked him in the past so it was just fitting! Both of the songs mentioned are in the playlist! The Faim song called Summer is a Curse is an unexpected like for me! A bit more out of my element but also not at the same time. It was most definitely my fave song they have put out, and I think it will be interesting to see what they do in the future. Also fun lil fact, this song was co written by Ashton Irwin. Waterparks! For some reason I have never listened to them, but Lucky People came up as suggested on Spotify and I really like it. Its a lil Jason Mraz like but all Zach Porter-esque from Allstar Weekend which will forever and always be one of my favorite bands. Have you ever heard of the band The Night Game? They are not in the playlist as I have not 100% decided what I think, they have quite a different sound BUT get this! The singer is Martin Johnson, who was the lead singer of Boys Like Girls and I really loved Boys Like Girls so that was a neat discoveries! Now have you heard the band, I Don't Know How But They Found Me? My brother actually told me about them and he told me the lyrics weren't the best on Choke but beyond that he liked it so I check it out and really liked it to! Like its fun and the music in it is very happy despite the lyrics in the song, so just a lil warning on that one, because it is in the list! So I have never been so excited to listen to a podcast until this one. 5 Seconds of Summer covered Post Malones Stay a while back and honestly it was amazing. I didn't know the original song because I had the impression it was rap, which is incorrect, but of course I have heard it since and wow. They covered it extremely well and the vocals/instruments were/are just amazing and I can listen to it on repeat for a very long time! :) Anywhoooo this podcast was about how/why they covered it and I thought it was interesting to listen to, but this type of music chat/talk it always fun. Also the points made about music genres right now was so spot on! Its only about 11 minutes so if you have some time you should listen to it! Now since this is the first post of this series I don't have much nail art from the #Nails4Music tag to share, but this is the point where I would do that. Also HERE is the playlist of my stand by music, meaning the music I will be playing on repeat for a really long time. It consists of basically 2-3 artists and a few random ones. There are full CD's in the list as well because it makes up my faves of the Year actually! 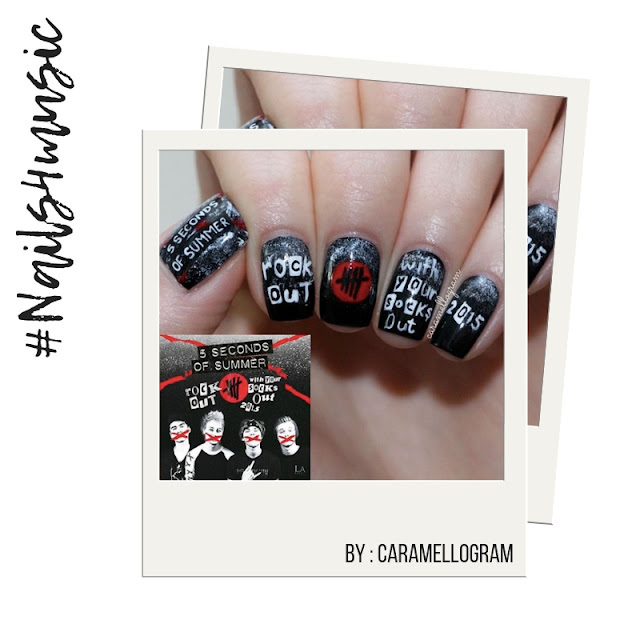 So in the hashtag right now you can find my Panic at The Disco Nails, and my Youngblood nails! The first mani to join the hashtag was THIS amazing one from Caramellogram. 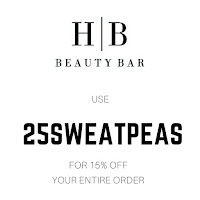 Which I have a photo of below! I absolutely love the fact that this mani is in the tag because its inspired by a past 5 Seconds of Summer tour and honestly they are a very bit part of what inspired me to even start this series so I thought that was super neat and plus I mean look at that lettering, you must check out Caramellogram on Instagram! Well everyone thank you so much for joining me today for this massive blog post that I had the best time putting together! Share your favorite music from September in the comments below and I might just have to throw them into the next post. 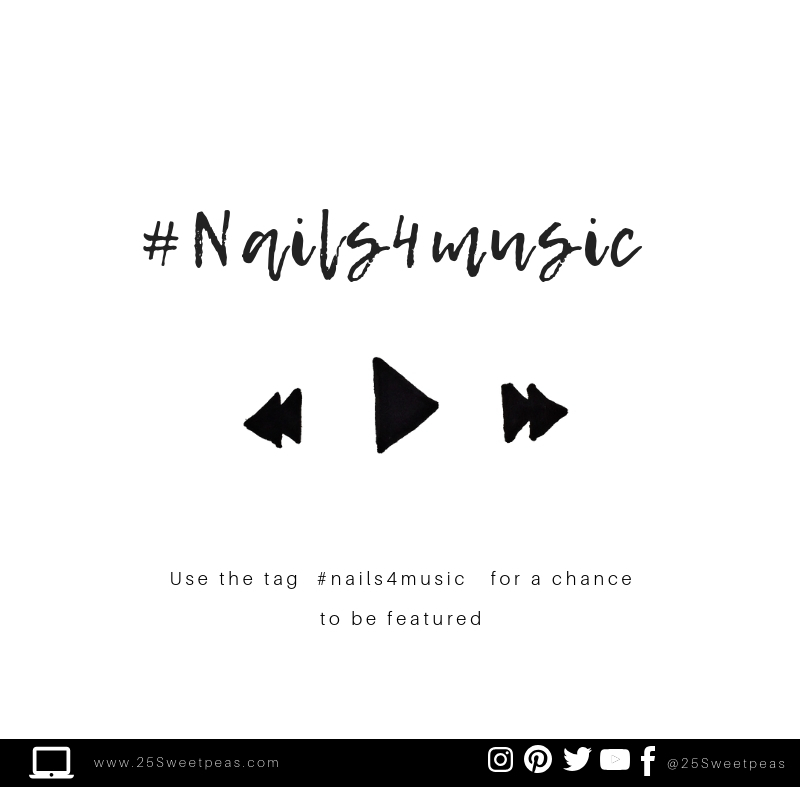 Also remember if you use #Nails4Music on Instagram for any music inspired nail art your nails might just show up in the next post! I know I have some music nails I want to do soon! This is such a fun idea! I love hearing the music and seeing the nail art! Isnt it fun!? Its liking mixing two of my favorite things! It really is, and I know its fun for me! Its going to be really fun I think! : ) I'm so excited about it! I love music and it's what gets me through the day. Glad to see someone enjoys unique tunes too! Me too! Whats your favorite type to listen too! There are so many different types out there! What a fun series! I'm glad you have such a love of music! Thanks! Its SO fun for me! Music is the best thing ever in my opinion, and I have always wanted to share that love on a bigger scale! Love the new series! I’m going to have to check out that hashtag, music inspired manis sound fun! Thank you! 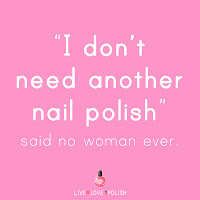 I'm so excited to see more manis popping up in it! I know I have more in mind for this month! As someone whose profession is in music, my taste is eclectic, to say the least. But I almost never listen to it anymore. Only when I drive long distances in the car. I hear similar things from other musicians. By the time they hit middle age they rarely listen to it anymore. Well thats kind of sad but time does get in the way at times. Its one of those things that eventually has to prioritized to be enjoyed! Everyone I know loves it so its fun, even parents! One loves current day things too which is nice! We call all kind of bond over it and have something fun to talk about! They were SO fun to do! It was/is really just the best CD I've heard in such a long time! Thank you! Haha! I feel like all of the music I like is connected and I love it! Plus social media makes it even more! Always finding new people especially when people I like recommend others! Its so great!